If your home and/or office is carpeted then you are familiar with stubborn stains of spilled beverages, footwear marks, water stains, etc. Even if you take good care of your carpets by vacuuming regular and spot cleaning when necessary, there are some hard-to-clean stains that require special attention. Luckily, carpet cleaning industry is growing fast and nowadays offers more than one carpet cleaning technology which are able to clean and remove almost all types of stains. As many already know, about 75% of soil accumulated in carpets is dry soil which is best removed by regular vacuuming. Therefore, it is imperative to implement a strict care routine and vacuum carpets thoroughly at least twice a week. But the main problem when it comes to carpet cleaning is removing the 25% of soil that’s sticking to the carpet fibers. Here is where professional services come in handy. Stop scrubbing and stressing over wine or coffee stain and instead hire carpet professionals Wollongong for impeccable results. Steam Cleaning Technology – Steam cleaning is becoming increasingly popular way of cleaning carpets. Aside from being simple and effective, it is also very Eco-friendly. This means that it is completely safe for kids and pets. Since it uses hot water extraction, this technique is recommended for more heavily soiled conditions (hot water and special cleaning agents are mixed and applied to the carpet under pressure). This method is also recommended by majority of carpet manufacturers as it is very effective. The only downside is the time carpet need to dry which varies from 12 to 18 hours. Encapsulation Technology – This carpet cleaning technique is very successful at restoring even the dirtiest carpets due to the fact that it incorporates crystalline polymers with cleaning detergent. It is the polymers that help encapsulate the soil together with detergent which enables the soil to be easier removed from the carpet during the post-vacuuming process. To be more specific, this technique turns soil into liquid form and with the help of polymers crystallizes it into a dry residue which is then vacuumed. This is an amazing cleaning method which allows fast and effective carpet cleaning. Also, carpets will stay clean for longer period of time. 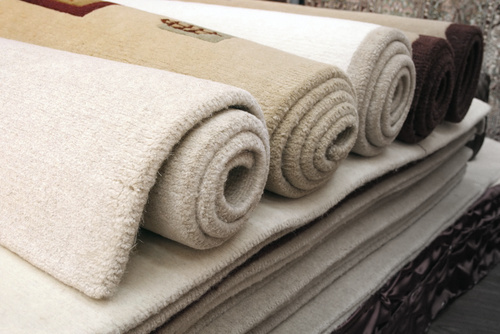 Dry Cleaning Technology – This technique is among favorite ones as it permits no moisture which means that carpet is dry at time of cleaning. With the use of special cleaning dry detergents which help break the soil attached to carpet fibers, dry carpet cleaning technique removes soil and stubborn stains and at the same time grooms the carpet. Thanks to the vacuuming system built in the machine, dirt particles are extracted from the carpet. This method features almost no-drying time and is very safe for children and pets.